Final Fantasy is one of the most respected gaming dynasties of all time. There’s no denying that. They have a way of breathing life into the industry, even when it’s at its best. Final Fantasy always seems to make it better. 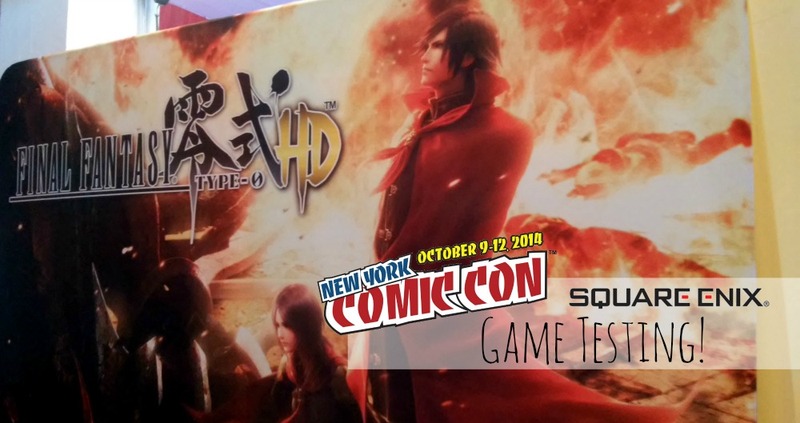 So getting to play the demo for Final Fantasy Type-0 was a treat for multiple reasons. I’m one of those plebeians who have never gotten to play on a Playstation 4 yet, so that was fun, especially when some of the controls were still Japanese based (damn you O button!). 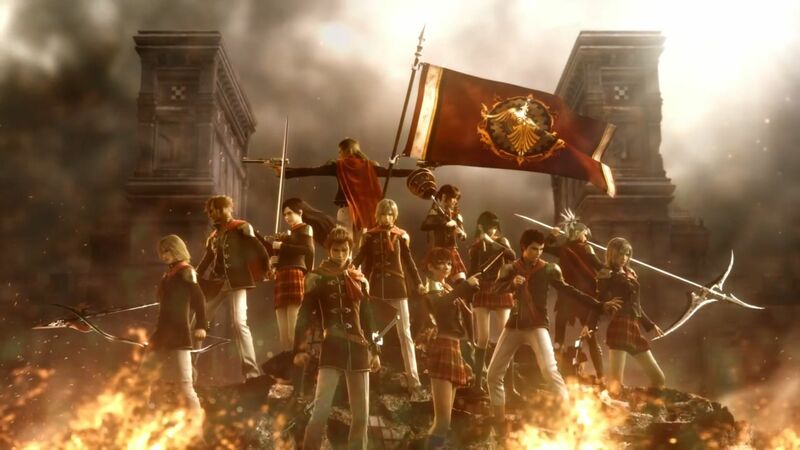 But regardless, Type-0 is a Final Fantasy game you will NEED to play… and here’s why. Aw man guys… aw man. Final Fantasy Type-0 doesn’t come out on Playstation 4 until March and I am heartbroken, because all I want to do is play this game. It’s good. Really good. 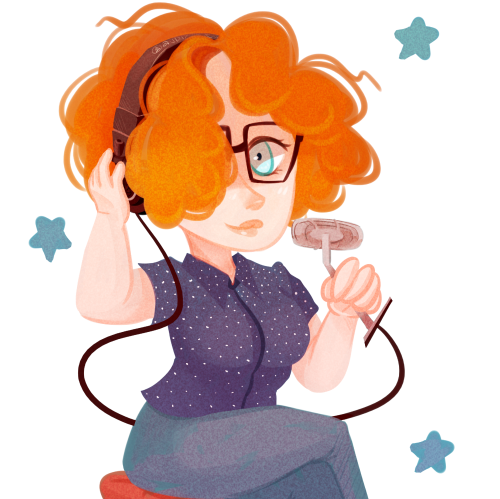 And I only got that from a thirty minute demo. It was a major mission almost halfway through the game that was so intense and complicated and constant that it stressed me out, but it was an uproariously good time. FF Type-0 was originally on the PSP in Japan and was never brought to the states. But next year, it’s here, and it was really worth waiting for. It’s the bloodiest and most intense Final Fantasy game there’s ever been, and that’s upped a notch when you realize all the main characters (14 to choose from) are children. It’s about a group of students from a military academy who have to defend their homeland after an invasion. They each have their own unique set of skills, including magic, a bull whip, and killer playing cards. I thought the cards were dumb at first. By the end of the demo I wanted nothing more than for all characters ever to have killer playing cards. Ace ftw. The most important thing to say about FF Type-0 is that it is FAST. The controls whip you around and if you don’t get whiplash the first few times you do it, you’re not human. It’s crazy and spazzy and it took a bit to get use to… and I still accidentally dodged too much and got myself turned around (that plus controlling the camera made me dizzy a few times to be honest). But once you know how to use dodge and zap around like a mad man, it’s awesome. The battles just never stop. There are soldiers and monsters and ships and tanks and they will all go at you AT THE SAME TIME. You have to be on your best form or you’re toast. It was frustrating at first, but the adrenaline quickly takes over and soon you’re bouncing about killing off enemies and destroying their carcasses for MP. Yeah, this is a very different Final Fantasy game. At one point you gained the ability to sacrifice one of your members to summon a great beast (Ifrit, I think?). I tried it a few times, but I kept getting hit by enemies. If you get interrupted, no dice. Which is rather realistic, but it did make it that I could never transform. It’s all real time combat and it makes for a very different experience. Like I said, Type-0 doesn’t come out until March, and that’s a horrible time to wait, but it will be very worth it. You can find out more information about the game at finalfantasytype0.com.